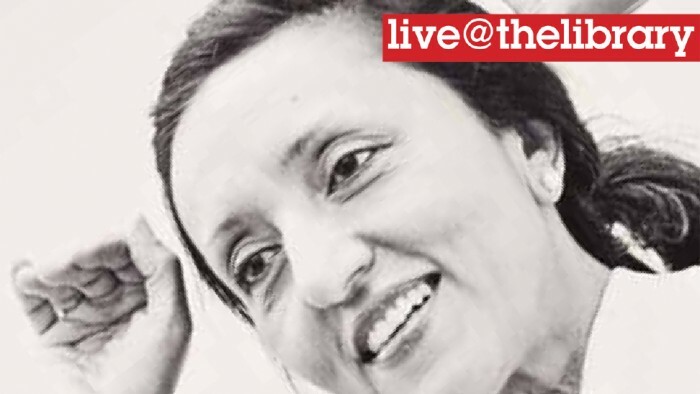 live@thelibrary is an exciting program of new work by theatre companies and artists. It promises to take the audience on a journey of adventure, laughter and theatrical drama. Hidden Stories is a fascinating dramatic insight into ordinary people living unforeseen lives. Anjum Malik performs four dramatic monologues covering tempestuous themes such as migration, leaving home land, racism, love and homelessness. The stories unfold to reveal a dramatic back drop of modern life diaspora. Anjum is a multi lingual poet and scriptwriter of radio, TV, theatre and film and a teacher of creative writing and Hidden Stories was well received by audiences at Hebden Bridge Arts Festival.